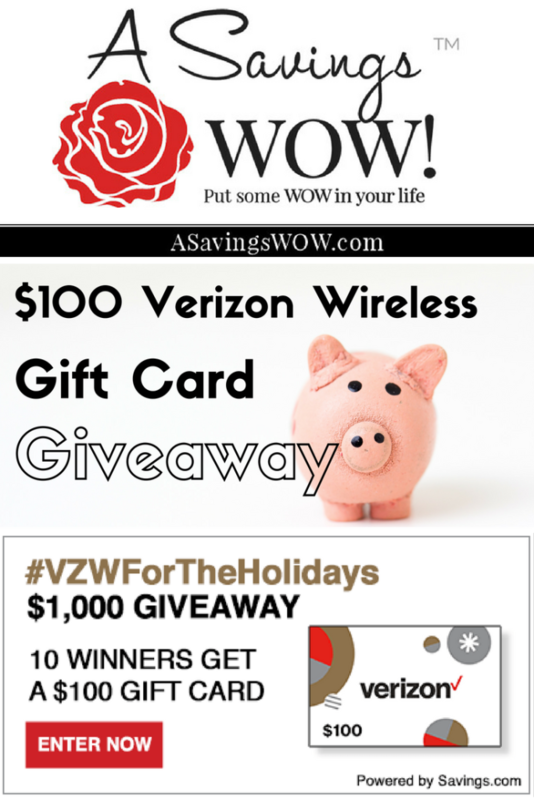 Verizon Wireless Gift Card Giveaway | A Savings WOW! Enter to win a Verizon Wireless gift card! 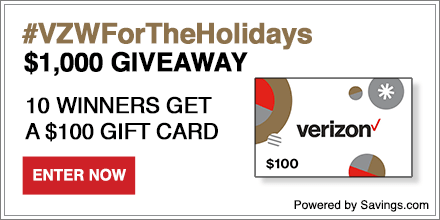 Ten (10) winners will each receive a $100 Verizon Wireless gift card during this #VZWForTheHolidays giveaway. Enter your email address on the form at the top of the page at Savings.com. The winners will be chosen through a lottery drawing and notified on Tuesday (12/27) via the email address they used to enter. See complete Official Rules for entry instructions, full prize descriptions, restrictions and other important details.